Breaking the habits of a lifetime? Our season traditionally begins with dancing outside the Town Hall at 0600 on May 1st, the date summer is supposed to start. 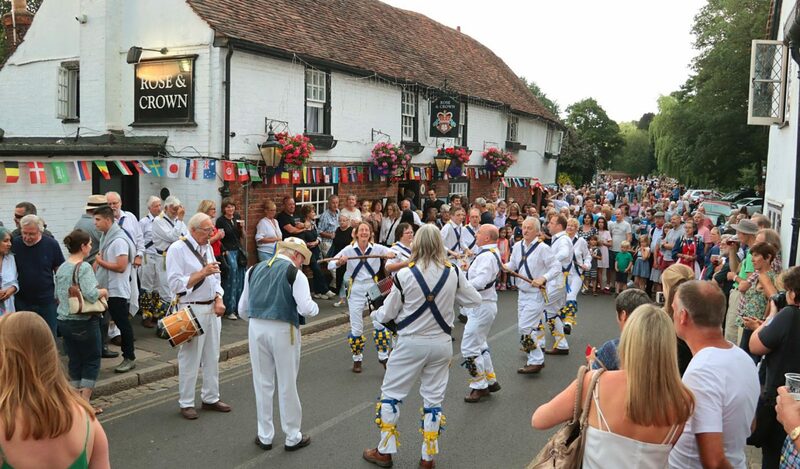 But this year the Town Hall is a building site, so we’re dancing in the evening of May 1 in St Michael’s. And just to be awkward, that will be the 3rd time we dance in public this summer. We’re at Caddington Village St George’s Day Celebration on Saturday 28 April and the Mayor’s Cream Tea on Sunday 29 April. With our final practice on Monday 30th, that’s 4 consecutive days we’ll have our hankies out!